Commercial trucking industry entails electronic logging devices nowadays. That’s not to say that these devices impose an extra set of regulations. 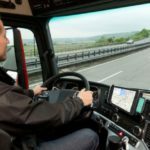 The ELDs are intended to make it easier for fleet operators and drivers to perform the actual daily tasks. This technology gives a simple, accurate means of recording relevant data. These data refer to either the vehicle operation or driver activity, such as RODS (record of duty status) and HOS (driver hours of service). Electronic logging devices record data automatically; however, it is possible to edit some entries manually. All of this applies to Teletrac Navman. 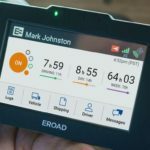 Just like other ELDs, it is meant to get connected to the engine of a vehicle and provide carriers with a wealth of substantial data. So, why choose it over other ELD brands and models? Let’s dig a bit further and uncover its advantages. 1.1 What is It About – How Does It Work? 1.7 Best Suited For – Who Should Use It? Choosing an ELD provider with the expertise and knowledge ensures that you get the right fleet management solution. 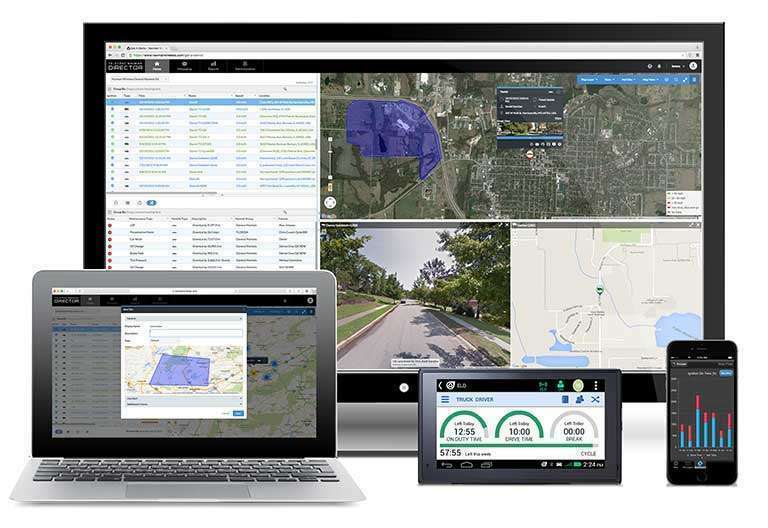 By leveraging 25 years of GPS fleet tracking experience and more than 10 years of ELD experience, Teletrac Navman is dedicated to providing the best cloud-based software solutions to its customers. The company has constantly developed its fleet management solutions with the aim of helping businesses reduce operating costs and enhance their performance. From ruggedized integrated tracking units to mobile navigation devices, fleet intelligence systems and electronic logs, their solutions have been used in many countries around the world. Through all of these solutions, businesses can improve their fleet management and meet new challenges. Teletrac Navman works with more than 40,000 consumers globally. With nearly 1,000 employees across the US, Asia Pacific, and Europe, they serve and support fleets worldwide. What is It About – How Does It Work? 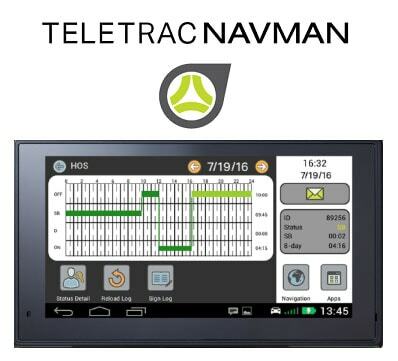 Teletrac Navman is an electronic logging device that automatically records driving time, miles driven and speed, thus ensuring compliance with HOS rules. Additionally, it keeps track of location, vehicle motion activity, and driver’s duty status. But keep in mind that DVIR is not included in the driver’s logs. To accurately record all these things, it must be synchronized with a vehicle’s engine by way of a diagnostic port (such as an OBD-II or JBUS port). Teletrac is often combined with Garmin units, as they are very driver friendly and offer plenty of web-based reporting options. 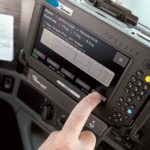 Different models and brands of ELDs come with different features. These are adapted to meet the demands of an industry segment or particular fleets. So be sure to define what features you need when choosing an ELD solution. Expedite roadside inspections at the click of a button. Manage unassigned driving time and set driver status with ease. Receive visual and audible warnings that help you prevent HOS violations. Have unrestricted access to all records. Current hours-of-service regulations that govern commercial truck drivers are meant to make it easier to assess the fleet effectiveness. These rules are also supposed to prevent drowsiness and fatigue among truck drivers by regulating the number of hours they can drive per day and week. 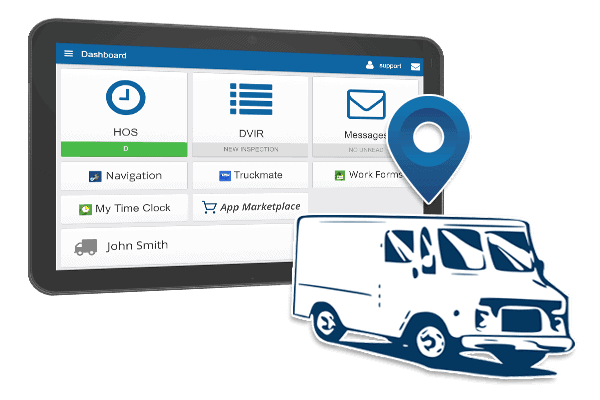 Teletrac allows fleet managers to view HOS statuses of all drivers in a single dashboard. This way they can identify at-risk drivers and gain some insight into how to improve their performance. It helps them manage their workload more effectively without violating Hours-of-Service rules. ELD use is mandatory for the majority of commercial vehicles in the United States. It is expected to encourage safe driving practices in America's trucking industry. The new rules have forced truck fleets and individual operators to replace paper logbooks with ELD devices. These electronic devices allow you to keep records in a smarter, simpler, and faster way. In the digital age, storing, inspecting, and revising paperwork is an unnecessary administrative burden. Electronic logs simplify HOS job and make things a whole lot easier. The data are now recorded automatically with the use of electronic logging. Aside from reducing paperwork, this means increased driver safety and improved productivity. This eventually leads to an increase in profitability. On the downside, the ELD mandate brought some confusions and problems. As a fleet manager, you will have a hard time comparing all the ELD solutions available and preparing your organization for new technologies. Nonetheless, you will have to comply with these regulations if you want to avoid fines and violations. 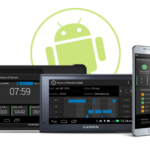 With Teletrac Navman solution, compliance with the ELD mandate is guaranteed. You get a self-certified logging solution that is registered with FMCSA and meets all ELD requirements. 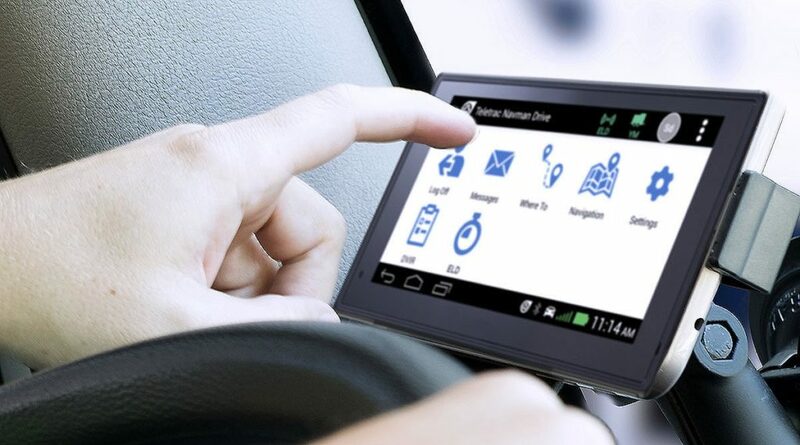 While it may take some time for drivers to get used to this ELD, most other software packages have a steeper learning curve. After all, Teletrac Navman is focused on driver experience and built with drivers in mind, so most of them will adapt quickly and without much hassle. With commercial-grade hardware and simple application, it's no big deal to get it implemented. Teletrac provides training and support to its customers in order to ensure the successful implementation of their ELDs. Live, on-demand training is conducted through a number of courses that are loaded on ELD devices. Plus, there is US-based support for both office staff and drivers. The office based team and trained technical staff will support you all the way. Live customer support is available via email, phone, or online. What's more, there are quite a lot of customer resources as well as pre-recording and live ELD training programs at your disposal. This ELD has many advantages over standard logging systems. So, once you start using it, you will never wish to get back to a system you used before. With Teletrac Navman, you can eliminate a vast amount of paperwork. You will be able to make entries to your logs in a blink of an eye, using on-screen commands. It will help you reduce time spent on administrative tasks like filling out, revising, and checking paper logbooks. This gives fleet managers more time to grow their business and improve productivity. By automating much of the logging process, this smart solution significantly reduces your odds of making an error. Both managers and drivers will spend less time fixing problems with the officials over erroneous entries. 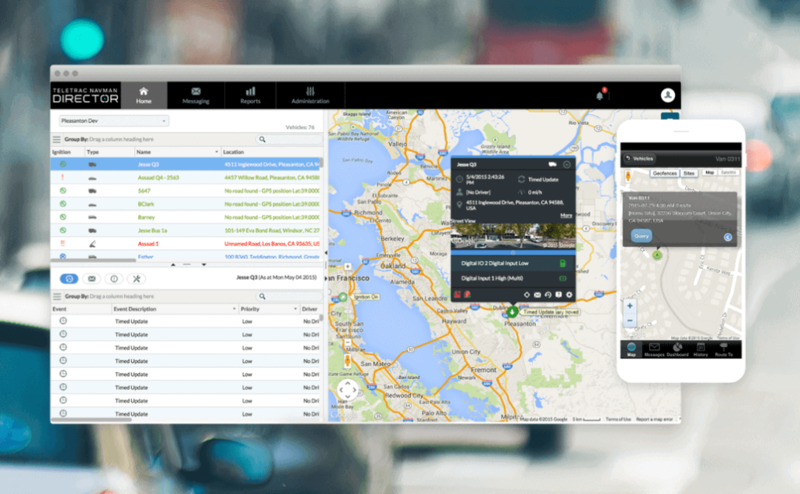 Furthermore, Teletrac Navman speeds up and simplifies roadside inspections. All in all, this electronic logging device means less work for drivers, fleet managers, and authorities. It is a win-win for everyone. Best Suited For – Who Should Use It? 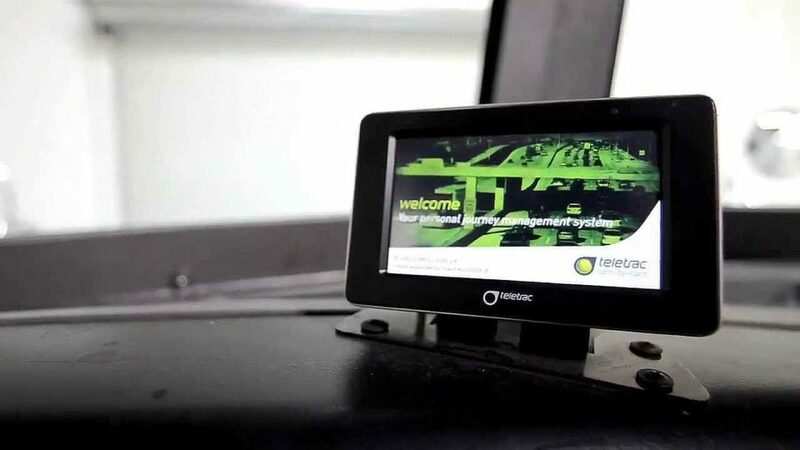 As a pay-as-you-go logging device, Teletrac Navman is suited for fleets and owner-operators looking to reduce out-of-pocket expenses. This is particularly appealing for fleets that try to avoid costly initial investments. For those fleets, this model appears to be an excellent solution. If budget is your top concern, Teletrac is a good choice indeed. One of the most appealing features is the pricing structure of this budget-friendly solution. Please note that the fixed monthly amount is charged per unit. The monthly cost of $45 is very competitive. This translates to $1620 for the three-year total cost. No up-front costs! Teletrac Navman ELD comes with some nice features like HOS violation warnings and DOT inspection. However, the monthly pricing model that allows you to pay as you go is considered to be the most attractive feature. There are some things that leave much to be desired, though. This refers to the customer support, hardware, and driver process. As a matter of fact, the hardware is prone to failure, which is especially true for the wiring harnesses and display devices. The best choice for Teletrac would be to move away from the current hardware and start utilizing Garmin as well as other ruggedized tablets. That would considerably improve their ELD solution. Also, many customers find the driver's process not intuitive and user-friendly. It is fairly slow and complicated so that you will end up with a lot of busywork. As for the support staff, they are not capable of facing the challenges of software bugs and frequent hardware failures. All around, Teletrac is a solution that can keep you in compliance with HOS without breaking the bank. Yet, you're going to pay the difference in headaches and time. We believe the company will make some improvements in the foreseeable future and we are looking forward to re-evaluating their product once again. Next Post AOBRD vs ELD – What’s The Difference Between The Two?